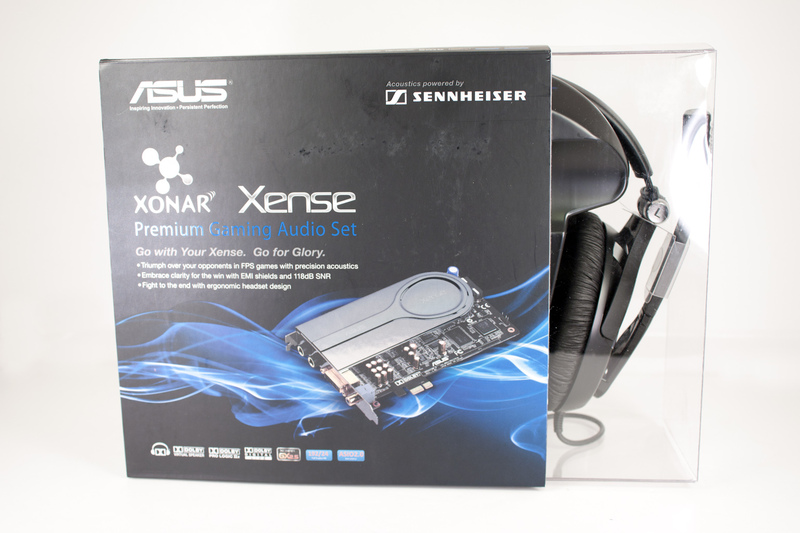 The Asus Xonar Xense is a different kind of audio card. You can tell that right off the bat just by looking at it. For starters you have two ½ inch plugs instead of the usual 1/8 inch. You also have what looks like a DVI connector on the back. But there is more to the differences than just appearance. We will dive in and point many of these out. One of the first things that comes to mind is the PLX bridge on the card. 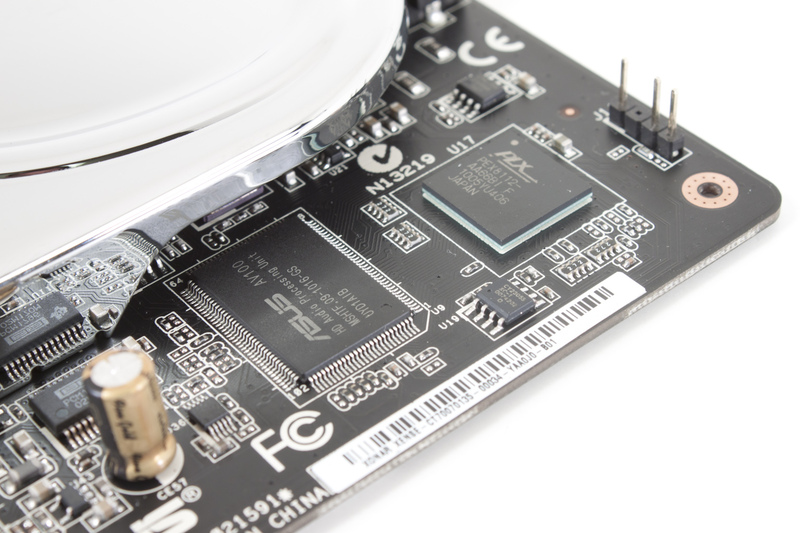 In most cases the use of a bridge like this is to allow a part that requires a larger number of PCIe lanes to work properly with a smaller number. An example of this is Asus’ use of the PLX to allow for both USB 3.0 and SATA 3.0 to work at full speed on P55 motherboards without impacting the performance for either. The Audio is powered by the Asus AV100 audio chip but there is also a Cirrus Logic CS5381 Analog to Digital converter and a Texas Instrument PCM1796*1 Digital to Analog converter for the font speakers and a Cirrus Logic CS4362A*1 for the other six channels . The latter is something of a departure from the audiophile oriented Burr Brown PCM1796*4s on the D2X. Sure they are both Texas Instrument parts but the Burr Browns are a much better part here. The OPAmps are also TI part (R45801) there are multiples of these along with several NEC UC2-4 5NU signal relays. 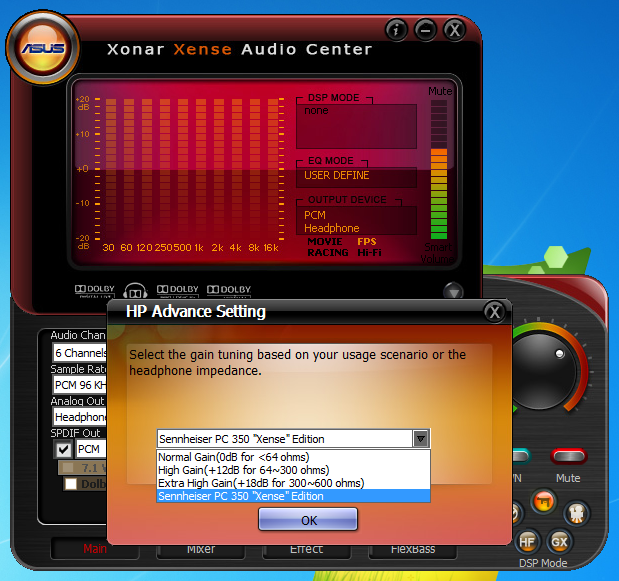 The Xonar Xense also features a TI 6220A2*1 headphone amp. 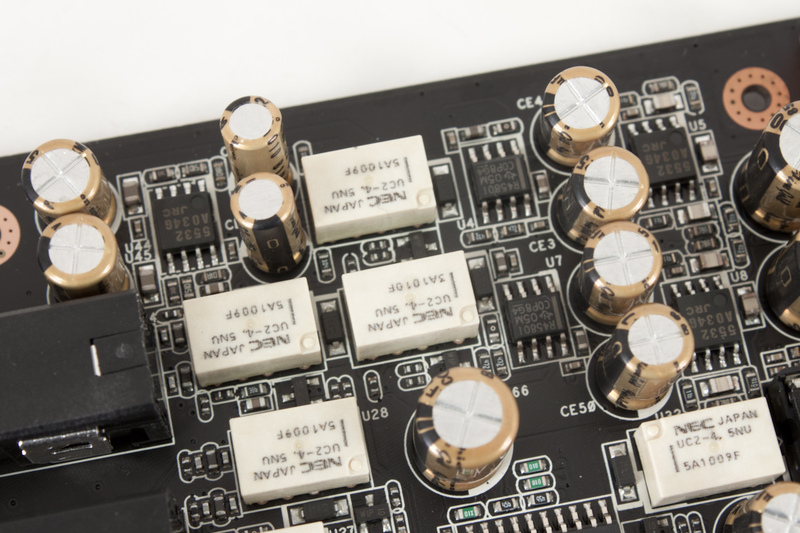 This tiny piece of hardware is designed to improve the signal quality to the headset. Because most computer speakers are powered there is no need to have an amplifier for the audio signals. 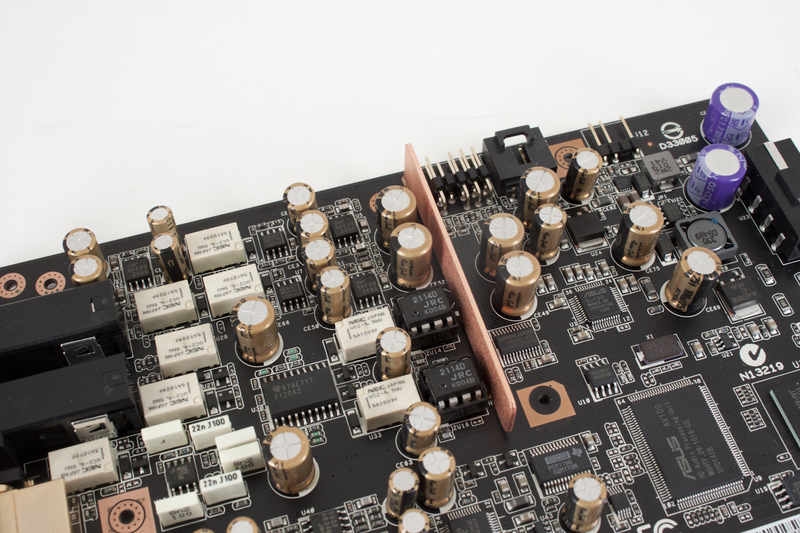 This helps to reduce power usage, heat and complexity of the audio card. It poses another problem though; when you are using headphones the signal strength can falter leaving you with flat audio. With a headset like the PC350 Xense Edition from Sennheiser that would be quite a waste. 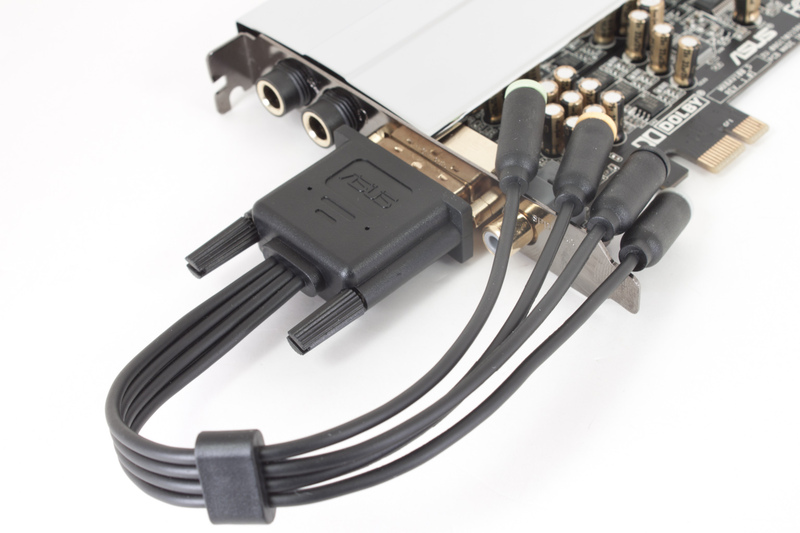 To keep the headphone amp and other parts supplied with proper power Asus has placed a full sized 4-pin Molex power connector on the card. This is pretty vital as there is no way the Xense could be powered from a PCIe x1 connection. Remember that DVI connector on the back of the Xense? Well it is really there to allow for 7.1 Analog output if that is what you want. Right next to this is the Combination Coaxial and Optical SPDIF (Sony Proprietary Digital Interface) output. 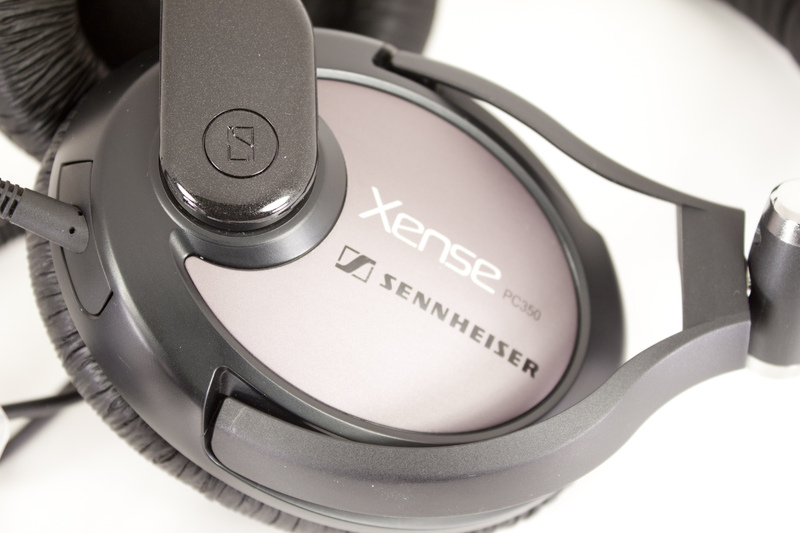 We have already talked about the two other ports on the back for the Xense; these are for the PC 350 Xense headset. 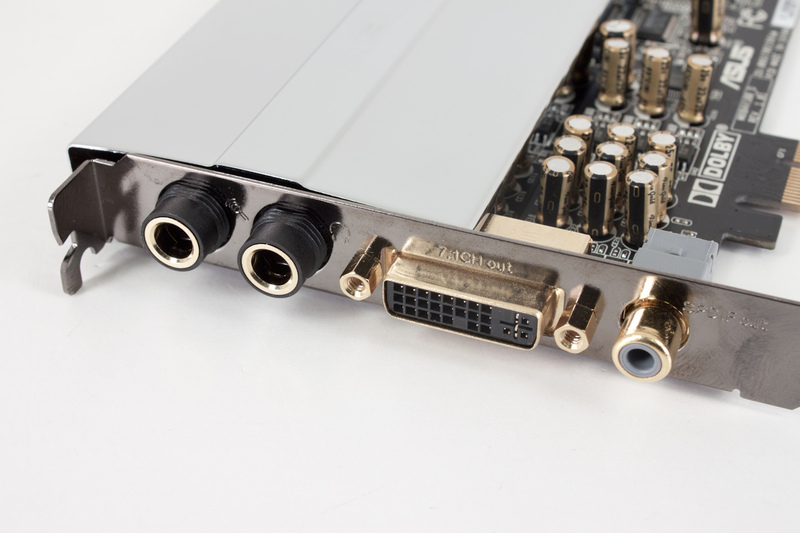 The Xense really is a nice looking and well-designed audio card. Now we get to head into the fun stuff and see how it sounds. 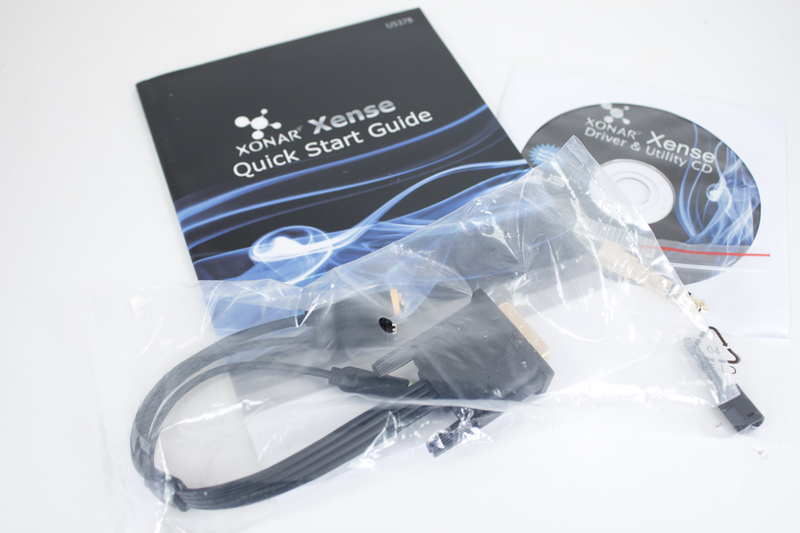 One of the major selling features of the Xonar Xense is this headset. 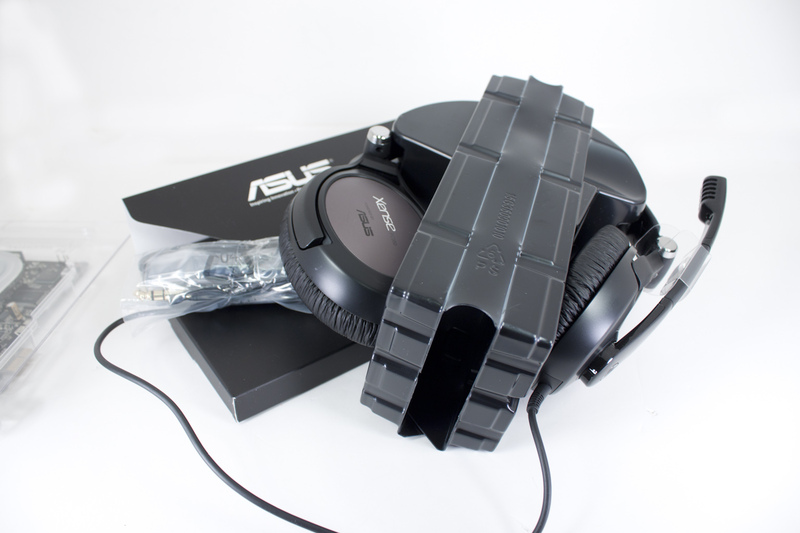 It has been built to Asus’ specification by one of the leading manufacturers of headphones; Sennheiser. For those of you that have not heard of Sennheiser, well this bundle will probably not make much sense. At least not at the price it comes at. 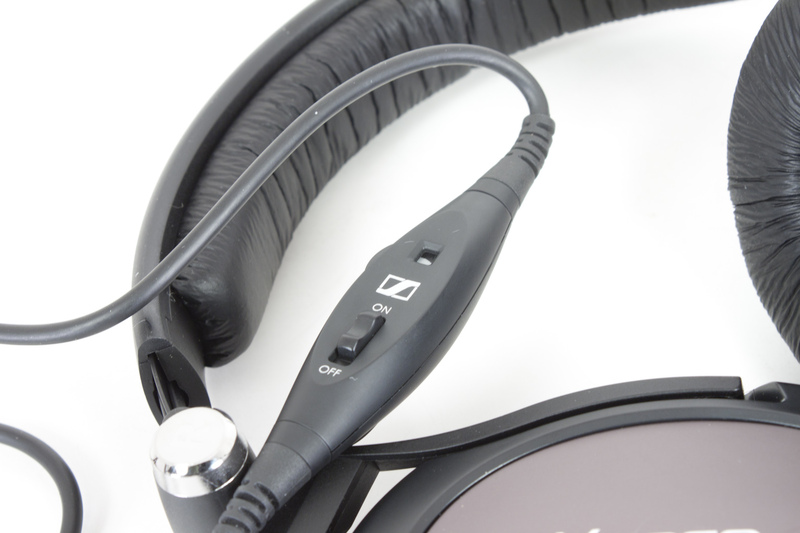 For those of you that do know Sennheiser then lets dive a little deeper into things. 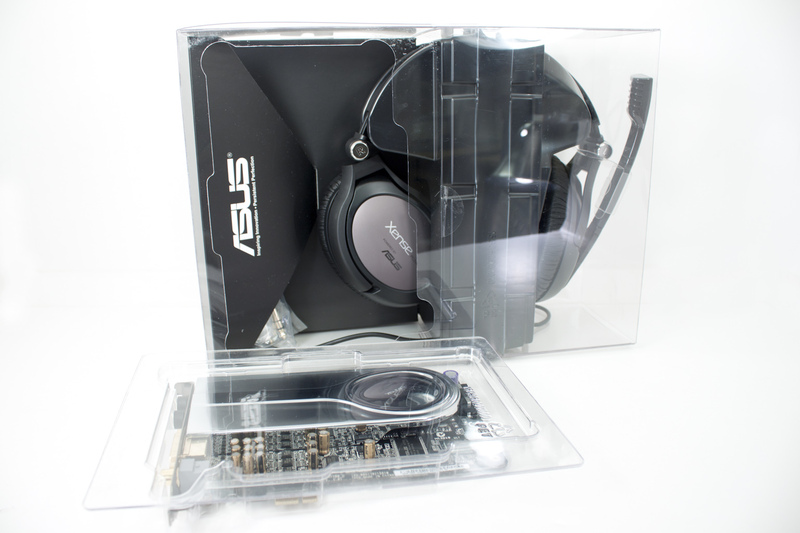 The headset in question is called the PC 350 Xense Edition, and it is only available from Asus. Sennheiser does have a similar set that was designed with team mTw (who commented on the Xonar Xense also) called the PC 360 but the only thing that is the same is the microphone. The rest is very different. For starters the PC 350 has a much higher impedance (150ohms as opposed to 50 on the PC360) the frequency range is also different. The PC 360 has a range of 15-28,000Hz while the PC 350 Xense is from 10-26,000Hz so you should get better low end response on the PC 350 than the 360. Specifications aside the PC350 Xense Edition headset is also built for comfort. The ear pieces are intentionally oversized to prevent strain on the ears and the padding helps to reduce pressure on the sides of the head. 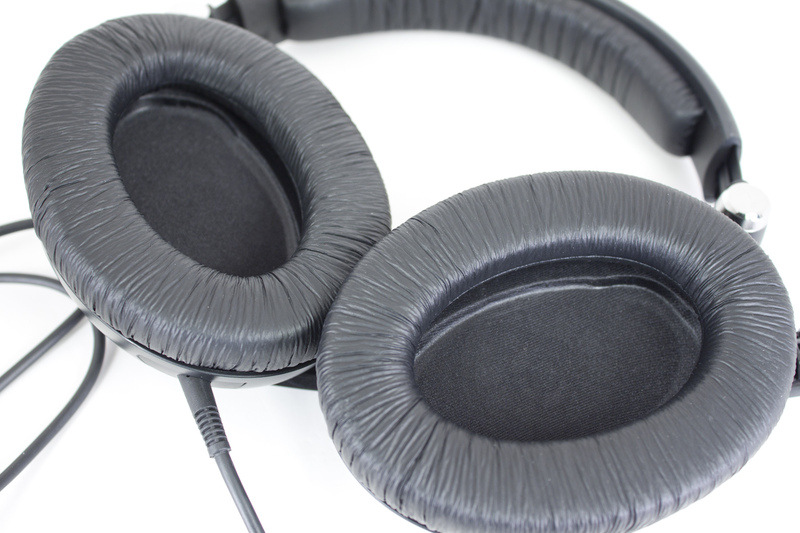 This means there is none of the “crushed” ear feeling that you get with some headsets and less chance of a headache from pressure on the sides of your head. 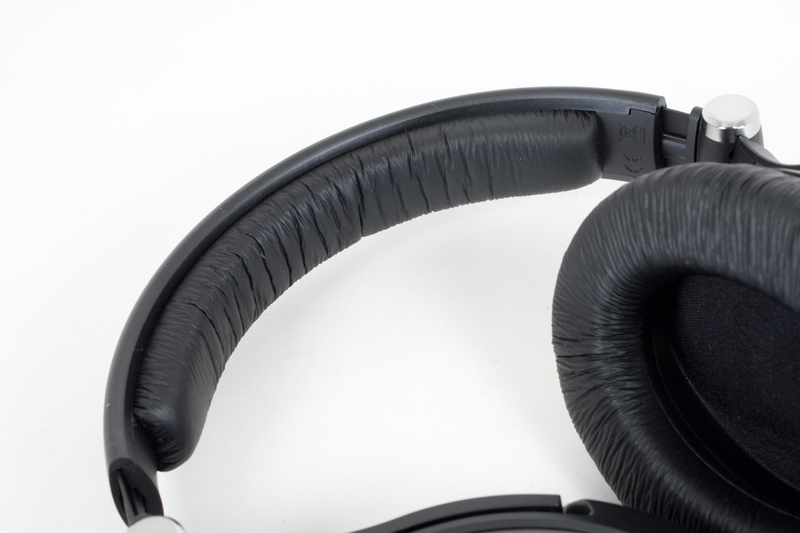 The crosspiece is also well padded while the entire headset is made of a fairly light material. This means you can wear them comfortably for long periods of time without strain. The boom microphone has some very nice numbers behind it as well. Its frequency response it 50Hz to 16,000Hz and has uses noise canceling to make sure you are not grabbing all the background noise. The sensitivity level is good at -38dBV (Decibels per one Volt) at 94dBSPL or 1 Pa (Pa=pascal; which is a measurement of pressure equal to one newton per meter squared). As all a microphone does is convert air pressure from your mouth into voltage the listing tells you how efficient it is at this conversion. In the US we use a base of 1 volt per Pa so it is common to see a negative number. So at 94dBSPL (or 1Pa) the microphone generates 38 less dB per Volt than the standard of 1Volt per Pa. This is pretty good compared to most products out there, but as we cannot find a listing for Total Harmonic Distortion we do not know how well this can handle rapid changed in air pressure from someone’s voice which means that it could be too sensitive. The boom itself is stiff and one of the few items that I am not fond of. To me the microphone should be removable as I would not always need it (or want it). 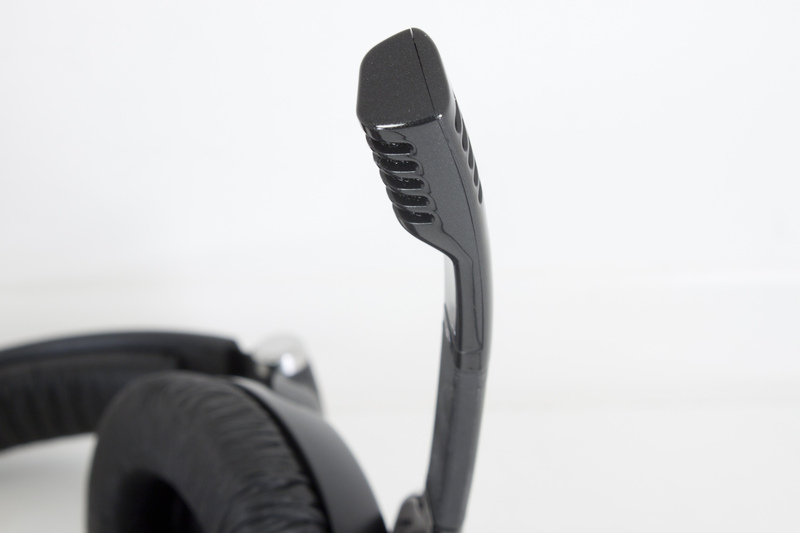 You can rotate it out of the way, but it is still there and honestly takes away from the look of the headset. The single cable that runs from the PC 350 Xense Edition headset to the computer is nice and sturdy it is thick yet also malleable. There is a combination volume microphone control switch that can be clipped to your shirt or perhaps a belt (although that can be a little difficult). 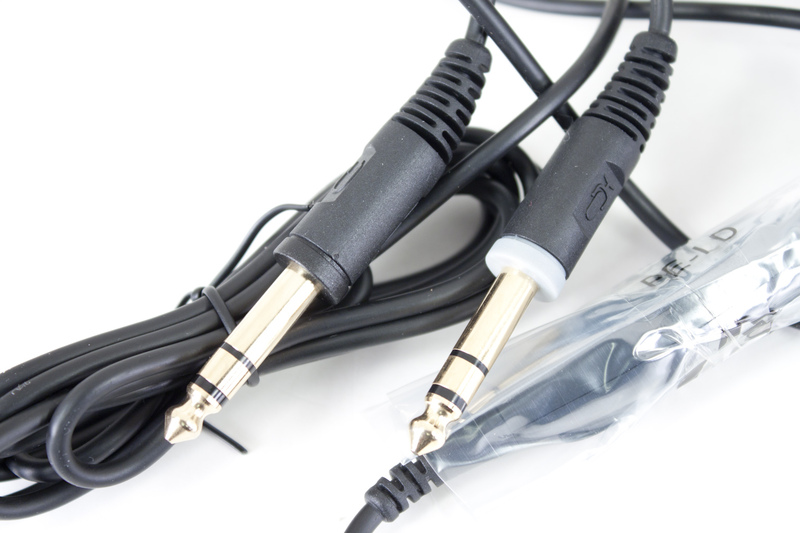 At the end of this cable you have two separate 1/2 inch stereo plugs. These are used to give better contact and last much longer than the 1/8 inch plugs. It is a really nice headset even with the non-removable microphone. Now let’s look at what makes it work. 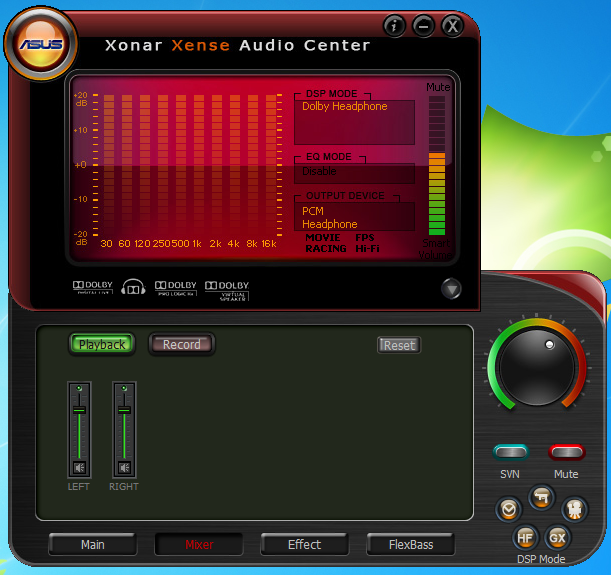 We also used the most current version of the Xonar software from Asus’ website. This is a nice utility for customizing your audio experience. 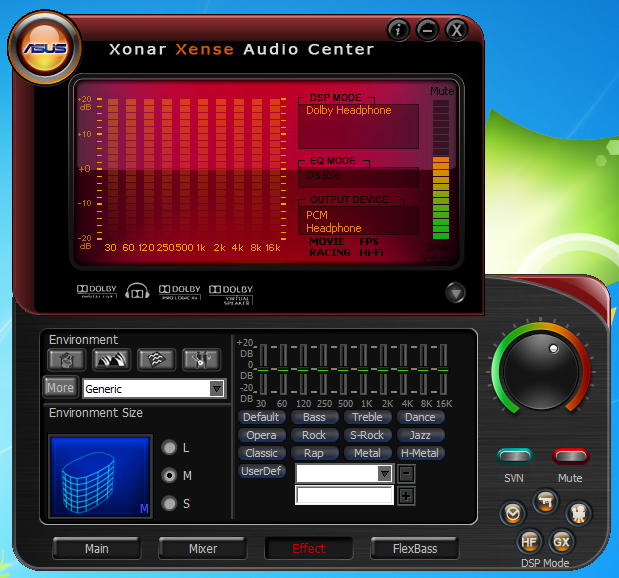 When you first open the Xonar Xense Audio Center software, it is a little on the intense side. The predominance of the color red can be a little eye watering, however you do quickly get used to it. On the landing or home screen you have your options for the number of channels you want to use, the sample rate, and how active you want your Dolby headphone option to sound. There are also found small “buttons” below the virtual volume knob. These are for preset DSP (Digital Signal Processing) options. 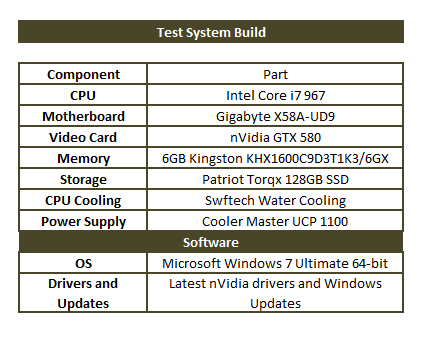 Asus has included the following presets; driving, first person shooter, movie, HiFi, and GX mode. A slight word about GX mode and Netflix. If you are using Windows Vista or 7 along with the Netflix (from the Media Center plug in) the GX mode can cause your audio to stutter and pop. It is recommended to leave the GX mode off. This will not impact audio quality in any measurable way so it really can be safely turned off and left off. Between this group of five buttons and the volume knob we find the SVN and Mute buttons. Mute is very obvious while the SVN might not be. SVN is a smart volume option. This helps to equalize the volume or games, movies or other multi-media types to maintain a consistent listening experience. Have you ever been watching a movie and had to constantly adjust the volume up and down? Well, this is what SVN is supposed to prevent. It keeps the loud scenes from being too loud but makes sure you can still hear the voices later on. If you look at the analog out option you will see what looks like a small hammer. Clicking on this when Headphones is selected will bring up the custom gain profiles. These profiles allow you to tune the power sent to the headphones to ensure that TI headphones amp is giving the best audio quality. The gain profiles are based on impedance, the higher the impedance the higher the power from the amp to properly drive the headphones. 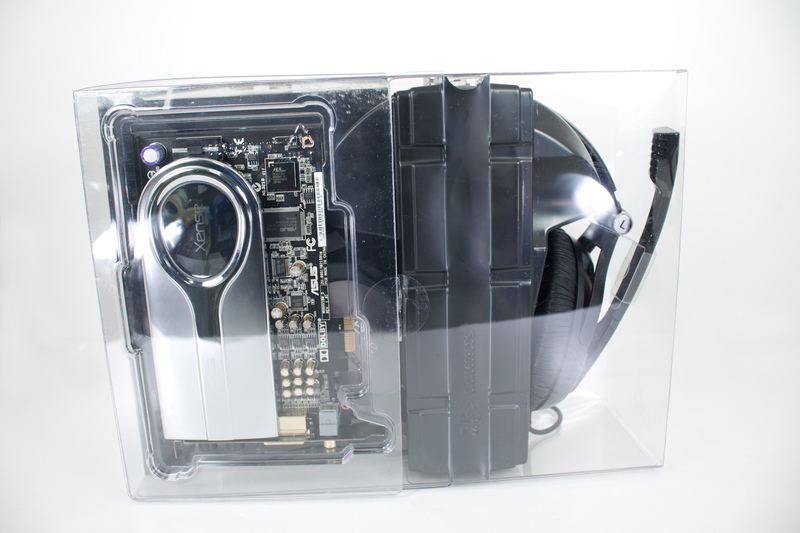 Asus and Sennheiser have come up with a custom profile for the PC 350 Xense headset. I would highly recommend using this as it really does make a difference in how alive the audio sounds. The mixer page is very self-explanatory; it is nice to have this option though. The Environment Page (Effect) is another one that is very nice to have included. It is not really much more than another DSP option but it can allow you to add flavor to your audio. As you can see there are a few presets available or you can setup a custom EQ and save it to the available profiles. For all of our testing we left things flat here to see what the Xonar Xense set could really do. FlexBass (the last button) is a virtual crossover option. 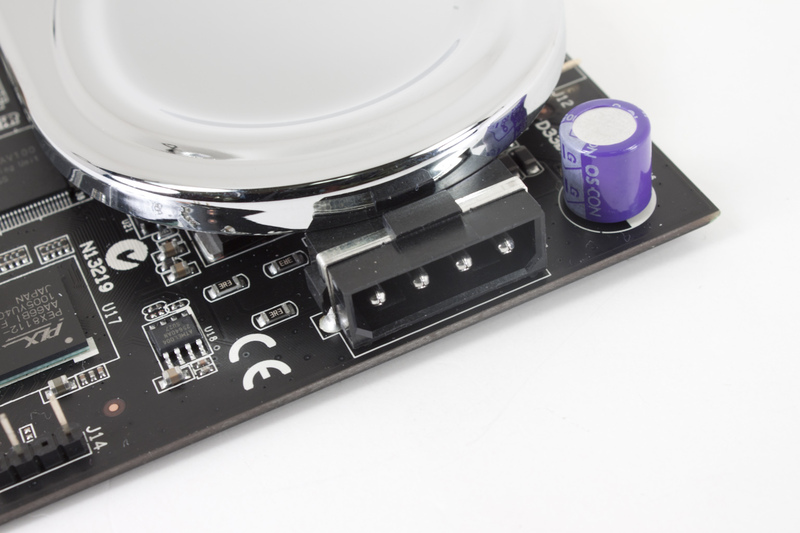 What this does is to help remove some of the “mud” from your midrange and high end speakers. That is it can do this if they do not already have a real crossover circuit built in. If not or if you want to assist the crossover you can adjust the frequency that the system pushes to your subwoofer right from this page. Again for our testing purposes this was left off. Audio quality is very subjective. What you like I may not. 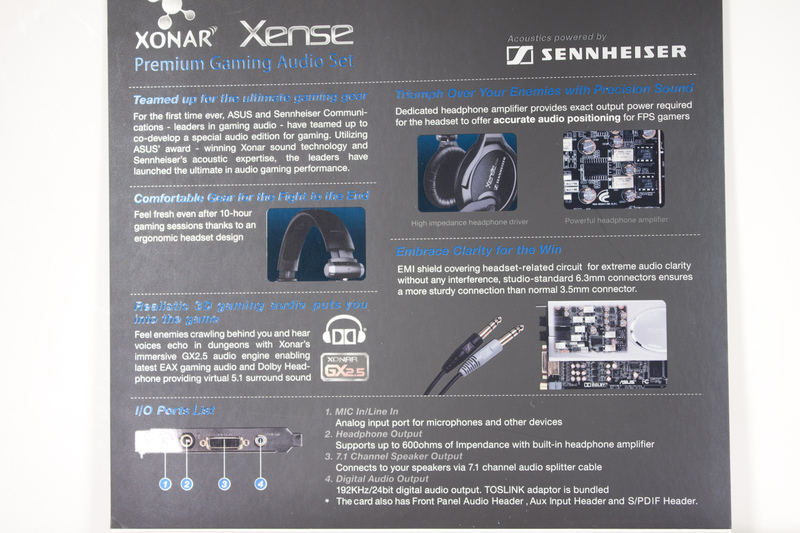 To prevent you from getting only my opinion on the audio quality, we use multiple subjects to get differing opinions on the quality of the audio produced by the Xonar Xense and PC350 headset combination. We exposed each of our subjects to the same five audio sources (Gaming, DVD-Movie, Bluray Movie, AVI, and MP3 audio). From there we asked for a rating from one to five (one being the lowest and five being the best) for how good they felt the audio was. We also asked for a single word to describe the audio produced. 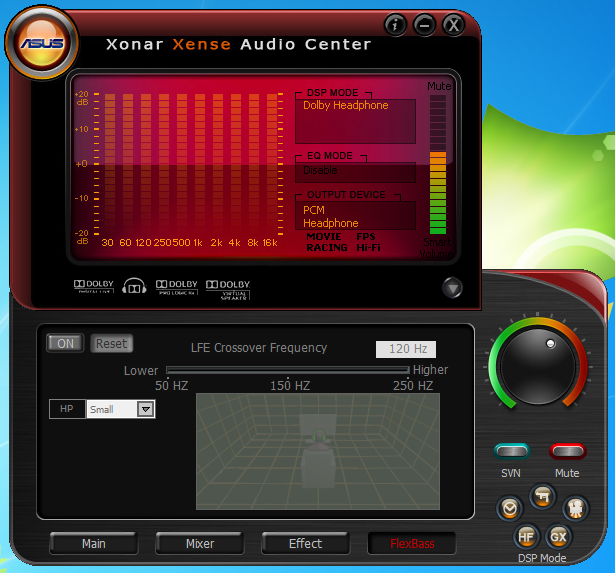 The Xonar Xense has some amazingly clean audio. There is simply no other way to describe it. When I was playing around with it before I started the testing I found myself hearing sounds in games that I had never heard before. This was even in games that I have played over and over (like Half Life and Half Life 2). It was extremely impressive to suddenly heat these sounds and effects. In newer games like Dead Space 2, Call of Duty Black Ops, and others the sounds really felt alive. With some headsets you can feel like the audio is confined or limited. I have had headsets that have made me feel like I have clam shells over my ears. 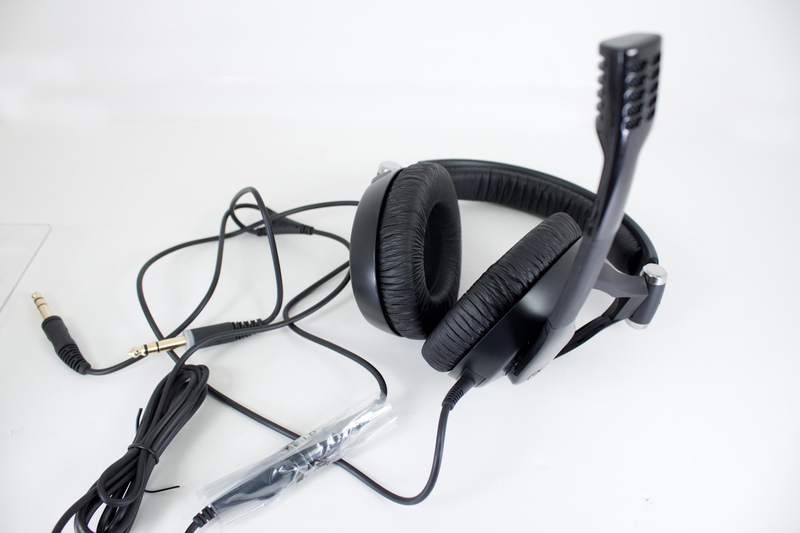 With the Xense combo I did not feel confined to the small space of the headset. Instead the audio felt like it was coming from a much larger area. This translated to all of the audio types I tested, even the Bluray movies just felt move alive with the PC 350s than any other headset I have used. The Xonar Xense truly shines when it comes to gaming performance. As I mentioned above all of the games that I have played around with were more vibrant, there was a significant shift in audio separation. Sounds were not muddled or mixed; they were distinct and yet still a part of the whole environment. The microphone did a great job as well. Although we still had the common issue with the hard consonants (T, P, B, C etc) it was less pronounced than many other mics I have used even professional ones. My conversations over Skype, team speak, or other communication applications were not impeded by the Xense headset at all. Ah, yeah… price. Well the Xonar Xense with its Sennheiser headphones is not going to be an inexpensive option. But then again they are absolutely not aimed at the entry level gamer or entry level anything to be perfectly honest. They are aimed squarely at the audiophile gamer and audio enthusiast. This is the market that will see (ok hear) the value in the additional OpAMPs, the headphone amp, and the significantly better headphone set. This group knows what this will bring to the gaming and multi-media table. As such the $280 price tag is not going to shock them. Instead they will see it as a more than fair price for the components involved. To the average consumer this price will seem very high, for “just a sound card”. I have liked the Xonar series since Asus launched it. It was a fresh breeze in what was becoming a very stagnant market. Over the years since it hit the Xonar line has done nothing but improve. 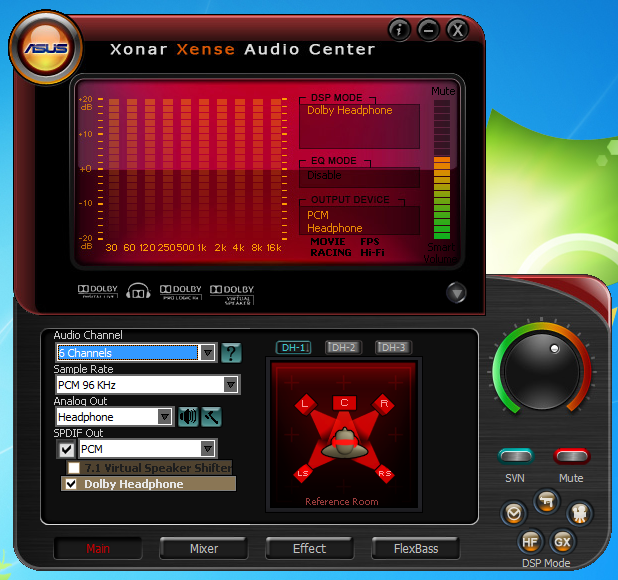 The Xonar Xense is one of the results of this improvement. I say “one of” because there are other sides to the Xonar line up. There is the Home Theatre line and the Music Enthusiast line. Each of these has their own top end card that fills the need for that market. When Xonar launched one of the few complaints was that its gaming performance was not as good as it could have been. I personally did not feel this was an issue but many other reviewers did. With the Xonar Xense you would not have that complaint at all. It is truly built with gaming in mind. Asus did not leave out other types of multi-media though. You still get great audio from watching movies (of any type) or just listening to your favorite music. I found the Xonar to be a great addition to my gaming experience. It provides a new level of immersion to even older games. The clean audio and roomy “live” sound really puts you into the game on a whole new level. The price tag of $280 is well worth it for the hardware and performance you are going to get. I do wish the microphone was removable and it would have been nice to use Burr Brown Digital to Analog converters but in all truth once I started using the PC 350 Xense headphones with the Xense audio card I quickly forgot those complaints. 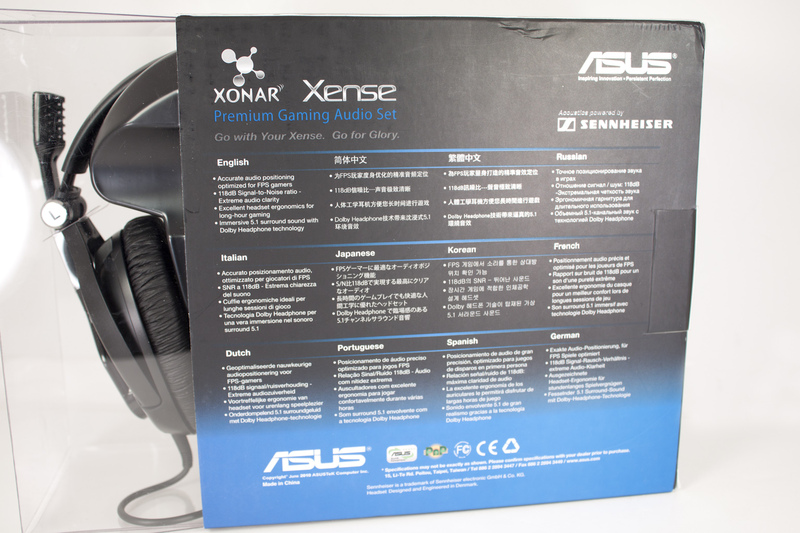 If we gave out awards for our reviews the Asus Xonar Xense would certainly get the highest one we had.